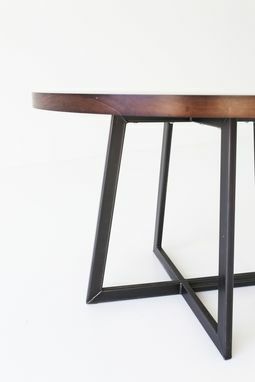 A solid wood table can be made in any species of wood and to any diameter. 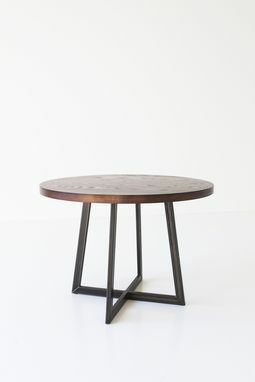 The base is steel sprayed with lacquer clear coat. 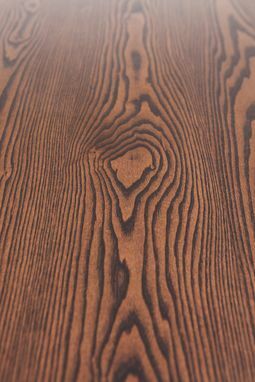 This specific top is ash stained java, but it can be made from any species of wood.